It's a piece of cake! 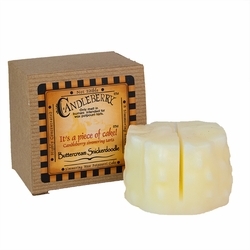 Candleberry Simmering Cake Tarts are traditional wax melts with a contemporary spin, offering a highly concentrated fragrance in the shape of a mini cake. Fragrances from the Candleberry Company reflect family traditions and memories that so many of us share: special recipes, scents that filled our homes during the holidays, reflections, emotions, all are so much more than just a fragrance. 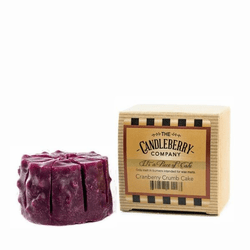 Simmering Cake Tarts are sold individually in a custom Candleberry box that contains 8 slices per cake. 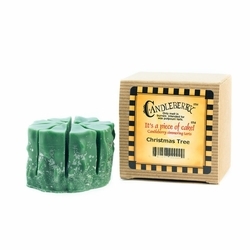 Each box contains 4.5 oz of wax. 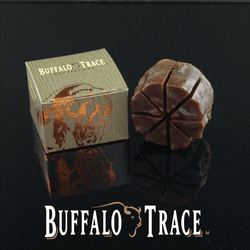 The sweet aroma of the�Buffalo Trace�, Bourbon Roasted Pecans� is well known for filling an entire home. This candle creates an irresistibly sweet aroma of Bourbon drenched pecans roasting in sweet brown sugar. Deep, tart, juicy cranberries and crumbles. This scent is a super powerful, uplifting cranberry scent that may make your mouth water. The�Buffalo Trace�, Kentucky Bourbon� will bring a uniquely refreshing aroma to any Holiday celebration (or any time of year!) The scent includes caramel, vanilla, and just a touch of seasoning from the barrels used to age bourbon. For centuries, Americans have celebrated the process of distilling whiskey, particularly America�s, and Kentucky�s own, bourbon. The distinct fragrance that fills the holding houses where bourbon ages, is linked to the mysterious missing quantity of spirits in each barrel. Distillers long ago began to call this evaporated liquor the �angel�s share.� Candleberry captures its essence in this scent. 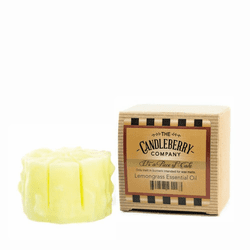 A perfect blend of patchouli-lavender and woodsy spices. The soft light of a candle lends to the romance of this romantic evening fragrance. 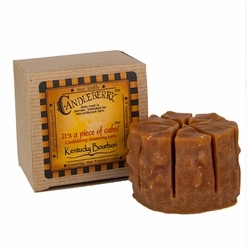 The quaint aroma of sugared pecans, mingled with a fire-roasted Kentucky Bourbon flavor. Imagine one of grandma�s chewy, warm, buttercream frosted cookies. Everyone agreed on the perfect shape and just the right height and the thick, warm scent of the pine filled the air with the first chop of bark. Then the needles completely filled the room with their fragrance and hearts with memories from Christmases long ago. 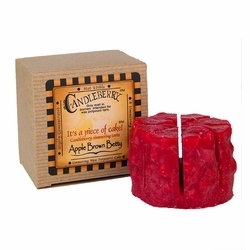 Liven up your holiday home with the deliciously warm aroma of spices and fresh cranberries. The "old fashioned" doughnut. Swirly cinnamon buns, dipped in butter and sugar, and fried to a crispy, golden, sugary delight! Early settlers of Pennsylvania perfected the sugar cookie recipe. 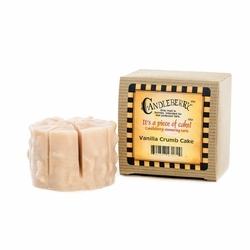 Now, Candleberry Company has perfected the scent of the sugar cookie. 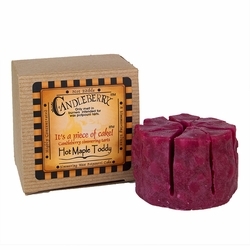 Candleberry's traditional Hot Maple Toddy combined with the fragrance of a hollyberry tea for Christmas perfection. A soft, buttery, golden crust, drenched in the warm glaze of cinnamon dashed honey will fill your home with the flavor and the feel of homemade honey buttered yeast rolls. That's the ultimate in comfort food! Caramel, vanilla, and just a touch of seasoning from the barrels used to age Bourbon. Totally intoxicating but legal. 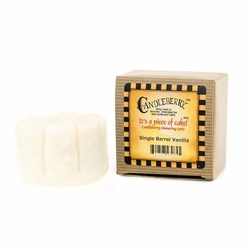 A gorgeous two-layered candle scented with sugar-coated, caramel-soaked pralines. 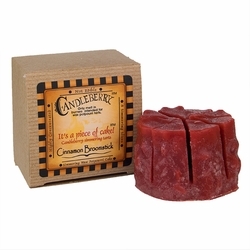 It's one of our most requested candles, and is indescribably good. Imagine it is a crisp fall morning and you've just gone into the kitchen following the warm rich smells that fill the air. There's the smell of pumpkin, that rich pie smell but punctuated with the nutty aroma of pecans. Together they make waffles that are waiting for the butter and the syrup and the start of a perfect autumn day. 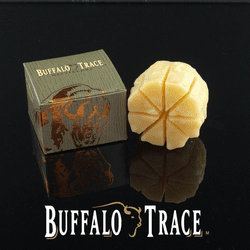 Even more decadent than a Kentucky Bourbon ball, is a Kentucky Bourbon-soaked vanilla bean, dried to an aromatic perfection, suited for the most gourmet of palates. 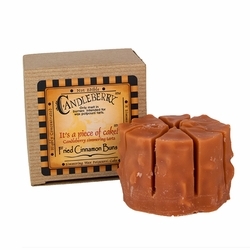 The savory scent of nutmeg, cinnamon and allspice combine to tease your taste buds.